Remi-nee, I won the award! From the popular game series, the “Touhou Project” created by the doujin circle Shanghai Alice and following on from her older sister Remilia, comes a Nendoroid of Flandre Scarlet! Along with her standard expression, two other expressions are included: A very childish and innocent smile as well as a grinning face that she is bound to show whenever she destroys absolutely everything around her. Her trademark wings that shine with the all the colors of the rainbow are also included, with careful attention put into the colors to create a very vibrant effect. 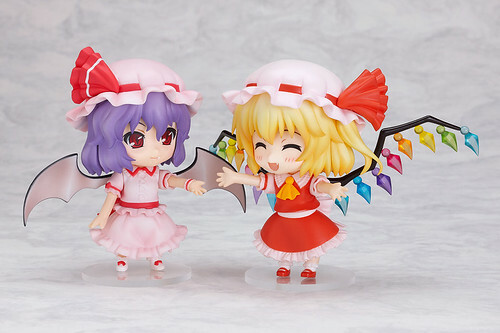 Display her with her elder sister Remilia, and recreate the sibling rivalry of the adorable Scarlet sisters! 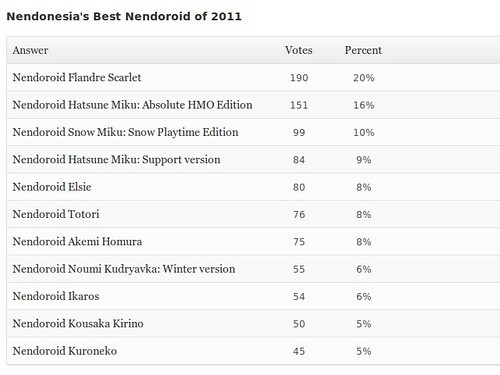 This entry was posted in News and tagged award, best2011, flandre scarlet, nendonesia, nendoroid, touhou project.